Village Hotel is located within the Golden Grove Village Shopping Centre. The Bistro offers a spacious dining area with great value meals along with a relaxing family atmosphere. 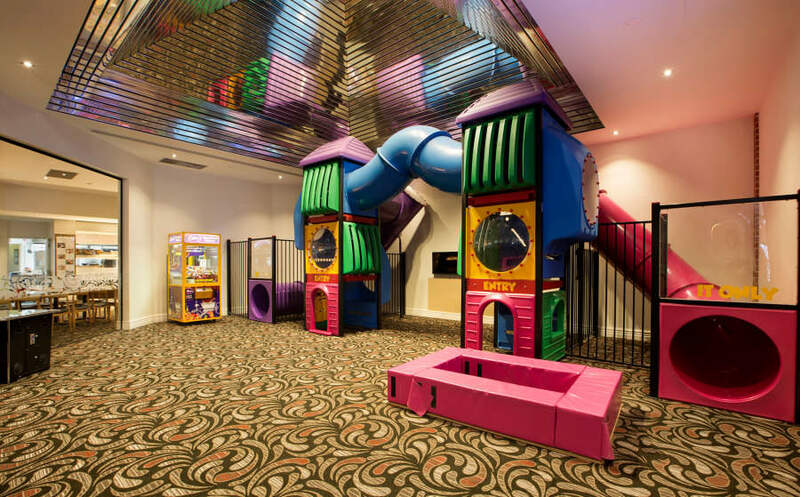 There is also a fantastic indoor play area for the kids with lots to climb on and space to move around and have some fun. This area also have some arcade games that require gold coins to use. The meals are of good quality and there’s lots to chose from, the menu changes seasonally but includes many favorites, so there’s something for everyone. All meals on the Kids menu are $9 and include a drink. The options include nuggets, pizza, calamari, burger and if you are looking for something a little healthier their is a warm chicken salad. There are also milkshakes and kids desserts available to purchase. Both adults and kids can also enjoy the Salad and Veg bar. I love this because it means you can make sure your kids eat some of the “good stuff” and it also means they can eat something straight away and not sit and complain they are starving! The Village Tavern also have a Kids Eat Free deal as part of Kids Around Town, you can get more information on Kids Around Town here. We really enjoyed our time at the Village Tavern and think you will too!